General Information about, well, general things. So it has been an annoying period. About two months ago I received an email saying words to the effect of “We have your password, email ID etc. Send around a thousand dollars in Bitcoins or we will start releasing embarrassing pictures of you to all your email contacts, social networks and what have you”. I did not worry about this of course, as I am quite capable of publishing embarrassing photos of myself myself! In any case, the password they quoted was one that I had not used on email or any of the social networks for many years so no problem. Then this week. Firstly Airbnb sent me a note to say my email address had been changed and did I make the change. I followed the links provided to say that it was not me but then they asked my to login using the old email address and a password. The password had been changed so that did not work. I posted a message in Twitter to Airbnb and mentioned all this. I am waiting to hear back. And then bookings.com sent me a note asking me to check my password change and confirmation of a hotel booking in London for GPB 350. This was followed by a cancellation charge of GBP 167. Interesting, me checking into a hotel in London when I am sitting in Singapore! Bookings.com had a very helpful operator who managed to sort a solution out. Kudos to them. Of course they do not give you a phone number to call. Well that has been a Saturday wasted chasing all this up! Update – 8 March 2019 – hotels.com has been repaired finally. So far it looks like all dodgy attempts to screw something free out of me are from Jersey DS! Back in September 2018 I reviewed Volume 1 of Julian Corbett’s Maritime Operations of the Russo-Japanese War, 1904-1905. Volume 2 arrived recently and replaced my reading list for a period of time as I followed the maritime operations from the Genesis of the Russian Baltic Fleet, through the Battle of Tsushima (or as Corbett describes it, the Battle of the Sea of Japan) and which completes with a look at the two Sakhalin expeditions. I will admit that in the past I have tended to stop reading the histories at the climax that is Tsushima so reading the last chapters in this book were well worth the effort. Adding Corbett to my Kindle copies of Semenoff as well as the works by Hough, and Warner & Warner in particular, I feel I have a good view (at least as good as an historical view can get) of the Maritime side of the Russo-Japanese War (RJW). I will look for further works on the land warfare at the time but I can’t help but wonder if the performance of the Japanese against the Russians during the RJW encouraged the Japanese to take on the Soviets and Mongolians at Khalkin-gol (Nomonhan), a battle that resulted in the Japanese agreeing to a peace with the Soviets and which allowed the Soviets to concentrate on their war with Germany. Naval Institute Press published a hardback version of Corbett’s work back in 1994. This is the first release of the history in paperback. It is also released in an eBook version (Kindle). As with Volume 1, there are none of the original illustrations that accompanied the 1914/1915 editions of Corbett’s work. This volume is smaller than the first volume but arguably more exciting. There are 24 chapters in this volume. 11 Appendices and an Index. I must point out that Japan has not subscribed to the Paris Declaration of the 16th April 1856; and therefore we shall not hesitate to inflict as much damage as possible to the enemy on the sea. Being convinced that during war the Japanese merchant vessels will not think twice about flying the flags of other nationalities, I am forwarding to your Excellency copies of the regulations laid down for Japanese merchant vessels, which may be of use in establishing the actual nationality of vessels stopped by you, of which only valuable prizes captured at no great distance from Vladivostok may be sent to that port; all the remainder must be sent to the bottom without consideration of pity and without hesitation. This book belongs on any naval historian’s bookshelf, and now that it is available in both paperback and electronic form it is available to a wider reading audience. As before, as a companion set to Maritime Operations in the Russo-Japanese War, 1904-1905, Vols 1 and 2, look for a copy of The Russo-Japanese War at Sea 1904-5: Volume 1-Port Arthur, the Battles of the Yellow Sea and Sea of Japan and Volume 2: The Battle of Tsushima and the Aftermath by Vladimir Semenoff These works provide a view of the war from the Russian side. In the same way I did with Volume 1, I highly recommend this work, especially for any naval historian, general reader with an interest in naval or Asian history, or anyone interested in the zenith of the pre-dreadnought period. 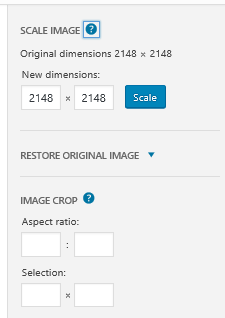 Reader TWR asked how to reduce image size in WordPress. What follows is a little tutorial. I took two pictures tonight. The first is here to the right. 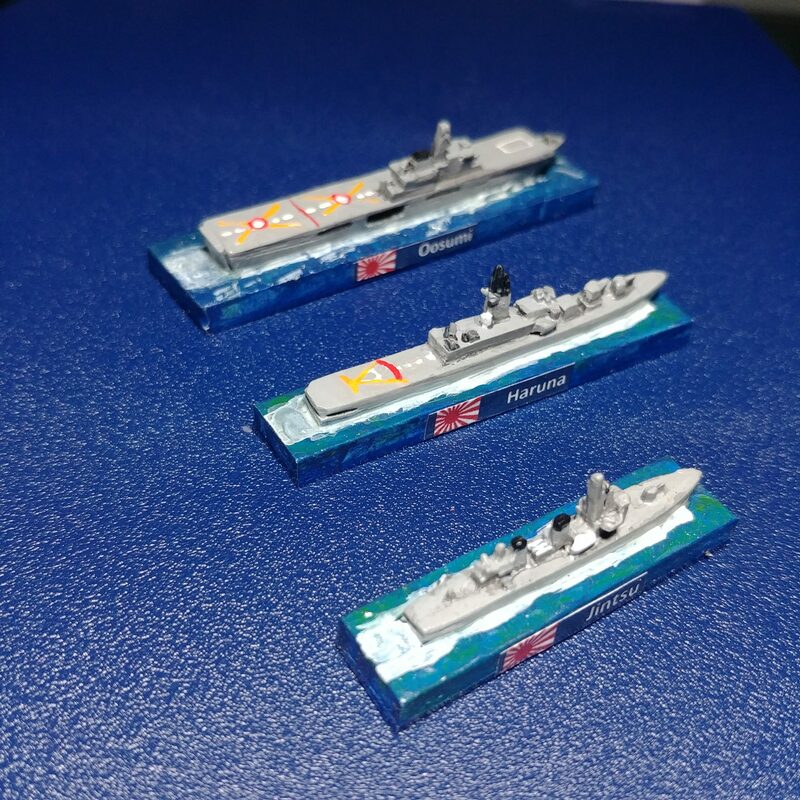 Some modern Japanese ships seem appropriate for this. The file size on the original image is 5MB as can be seen from the next image – which is copied straight from the WordPress media library. The size of the original image is 3120 x 3120 pixels and I am sure the blue background is increasing the file size a little. You can see details of the image here. There is the link to delete the image of course but there is also a second link which is to edit the Image. This editing is performed inside WordPress. I have a second image now which I will select Edit Image on and we can have a look at how you cut back the image size. Because I took two images we can also see how the images look when clicked on. OK, so the second image was resized to 2148 by typing 2148 over the top of 3120. You can see on these dialog boxes that you also crop the image by aspect ration or by selection. Lastly, you can restore the original image size but I think that only works if you are still in this part of the editor. Once you go back there is no turning back. When you have the desired size, and I would suggest playing around with it until you get the resolution you are after, press <BACK> at the bottom of the screen to bring you back to the Media Library. Now you can see after resizing, the file size has dropped from 5MB to 989KB so that is a whole 4MB saved on that one file. The reason I was working with two nearly identical files is so that you can compare the resolution both before and after resizing. The photo below is the 989KB one with lower resolution than the original. The other way to save space is to have your images out in the cloud somewhere and point to them as a URL from within the WordPress post, in much the same way I point to YouTube videos. However that will likely slow your blog down a little. So, a lesson in resolution and space. Next will be some book reviews followed by some new toys to look at. So, gentle readers, any suggestions? I am at that indecision/planning/pass the beer stage of deciding on what to do. 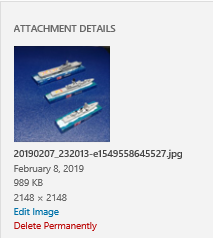 I’ll have to be honest as well, one the reasons I have been waiting for this is that there is a photograph of mine published in it … a photograph of a modernized västergötland class submarine, RSS Swordsman. Review of full book will follow in the next day or two. I can see I shall need to lift my game and post more content more frequently, at least to speed the 100th along. Perhaps it is time for some Philippines travel tales? Certainly I will spend some more time adding to the YouTube channel – very low cost production but it seems people like to see what was in the parcel. There are a couple of items that need to be fixed here as well and some odd things that cannot. For example, there are many, many comments from 30 November 1999. That was the result of adding a widget to WordPress that gave me greater control over comments. I did that when Thomo’s Hole was hosted inside coldie.net but as we (or rather Jeffro the no-longer-a-boy-but-still-IT-genius) decided to release that web space. I moved Thomo’s Hole back into the WordPress domain. With the low cost of cloud these days and as I am getting close to the maximum storage of images here in WordPress it is time to assess whether to move the Hole again soon. There are also a few links that are missing back in the older pages – well, the links are not so much missing as more the target of the links is. This applies to pictures and documents. I am slowly working through the repair of them as I discovered a storage cache of my stuff that I had forgotten about (happens, doesn’t it?). 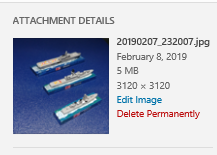 OK, so coming up – more book reviews, more incoming parcels from the UK (at least four more for me), and I will spend some time opening the Fujimi 1/3000 ship boxes, one by one, and look at the contents with you all. In the meantime, back to work … need to pay for the toys somehow! Twenty four years ago Walter Matthau and Jack Lemon made a movie called “Grumpy Old Men“. It was designed to cash in on the way Lemon and Matthau worked so well together in the movie of Neil Simon’s, “The Odd Couple” and I must admit that at times I feel there is a fair amount of Oscar Madison in me. The Odd Couple was made in 1968. So what of it? 24 years ago I was a strapping lad of 39. The last thing on my mind was getting to an age when the wheels started to get a little wobbly on the trolley. Time passes and now I am starting to understand the Grumpy Old Man better. This has not been helped by friends reminding me of my own mortality … like I needed to be reminded of that. So, I have decided that if I am going to be a Grumpy Old Fart, I will be the grumpiest old fart I can be! I started to fiddle around with my little uised YouTube channel and thought I would start with a look at what I am working on at the moment – and they be 6mm Ros and Heroics Poles for Cold War Commander. Comments are welcome and I promise I will get better at that!